At Fyodor‘s talk last week at Blackhat he talked about the research he’s been doing, and the ways that research has helped him to improve Nmap. I was lucky enough to attend, and even got to chat with him briefly and get a signed copy of his new book. Anyway, after receiving numerous complaints over the years regarding performance, he did some colossal scans of the Internet in order to see how Nmap handled extremely large address ranges. What follows is a collection of the most interesting features he added, and information he learned, while doing his research. 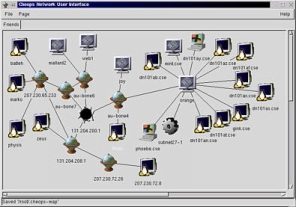 One of Fyodor’s main focuses was improving Nmap’s speed through improved efficiency. One of the best ways to do this is to allow for scans of fewer ports, but this requires that you choose those ports carefully so as to miss as little as possible. So what he did, through trial and error and tons of scans, was figure out the most frequently open ports on the Internet. Ok, so now that we know what the top 10 ports are, wouldn’t it be cool to be able to scan based on them? And what if we wanted to scan the top 50? Or the top 100? As you increase this number you obviously gain more and more accuracy, but because the ports are organized according to the most commonly found on the Internet, you can scan relatively few and still have good chances of finding everything open. This means for just curiosity scans I can go with --top-ports 1000 and get roughly 93% accuracy in a fraction of the time. Another feature that he’s been wanting to add for a while is rate limiting by packet count. He actually found a need for this when he was doing his research. He started some of his first scans and got a call from his ISP. They thought he’d been hacked. This thing is awesome; when it shows you that a port was open or filtered or whatever—it shows you the reason it thought so. This will show you what the packets look like that you send and receive, with a handy little “sent” and “received” marker. You can now add the -traceroute option to your scan and Nmap will pick a port and traceroute to the target host over that port. Nmap’s GUI (Zenmap) Now Creates Maps! You heard me right. The latest version of Zenmap (bhdc08) now actually has a tab for creating maps like Cheops. The one above is an actual old Cheops screenshot because I don’t have X installed on the box running bhdc08, but you get the idea. Ndiff is a sick little tool that compares Nmap XML files and produces XML or YAML formatted difference files. In other words, you can regularly scan your networks with Nmap and use Ndiff to not only tell you when new boxes pop up on (or drop off of) the network, but it’ll also tell you when new services are added or deleted to the boxes you already know about. An über version of Hobbit’s classic. Supports SSL, IPv6, connection brokering, proxies, shell execution, and tons of other stuff. I’ll be adding these options, as well as a ton of additional new functionality, to my Nmap tutorial/primer located at https://danielmiessler.com/study/nmap/.